While many things change online, there will always be scams you need to watch out for. If you want to enjoy the best of modern technology you need to take cyber security very seriously. Scammers will look for any way to separate you from your money. When you know what they’re up to you can usually avoid their nefarious schemes. 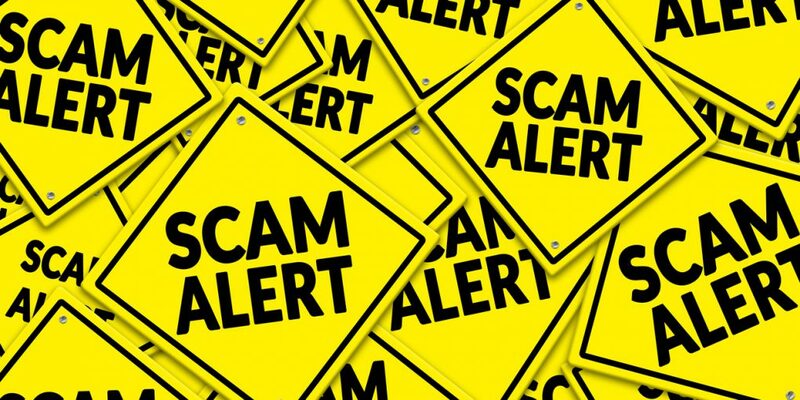 Here are some of the top scams to avoid in 2019. Most people are familiar with phishing by now. This is when scammers pose as legitimate businesses and try to get you to click on their links and provide your personal information. They commonly send emails pretending to be a bank, for example. These messages often have dramatic and scary subject lines such as “Your account may be compromised.” Unfortunately, phishing schemes are now getting more varied and sophisticated. Here are a few examples. Emails from popular companies. Today’s phishing scams are often very hard to spot. The emails often look exactly like they were sent from a PayPal, Netflix, Dropbox, or another large company. The bottom line is that if you get any message asking you for personal information or to click on a link, you’re better off logging onto the site from a new browser window. Bitcoin and cryptocurrency phishing scams. These can be confusing to people not familiar with Bitcoins and cryptocurrency. You may get an email saying that someone has sent you Bitcoin. If you have no reason to expect this, don’t click on the link! They may also try to get you on board with a new (often imaginary) cryptocurrency offering. If you’re involved with cryptocurrency, be especially wary about responding to emails without validating them. GDPR-related phishing scams. Scammers are good at exploiting the very latest news and trends. Another example is the General Data Protection Regulation (GDPR) enacted by the EU. You might get an email claiming your website is in violation of GDPR. As with other phishing scams, the best policy is to never click on questionable links. Make sure your employees are trained to spot phishing emails. It’s best to develop a cautious policy and avoid clicking on links sent in emails. Instruct your employees to consult with if they have any concerns about messages. Scammers have learned to take advantage of consumers’ anxiety about devices and software. Sometimes they even exploit our fear of being scammed. One way they do this is by posing as technical support representatives from companies such as Microsoft, Apple, Google, or Facebook. As the Federal Trade Commission (FTC) reports, tech support scams are quite prevalent. Beware of calls from people claiming to be tech support. It’s rare that a company would initiate a call (or email or message) when you didn’t ask for help. These callers may warn you that your computer is infected with a virus, that you need a crucial update or use another ruse to get your information. Scammers might also place a popup on your screen asking you to install an update. These can be difficult to spot as they look like legitimate update popups. Very often, these popups will ask you to download some unfamiliar software. The best protection is to keep your devices updated with anti-virus and malware software. Additionally, keep your software updated to the latest version. Scammers always keep up with the times. As more and more people use smartphones, there’s a huge incentive to target people on their mobile devices. While you can fall victim to many of the same scams on mobile devices as on computers, some are mobile-specific. Scam calls. According to a report by First Orion, nearly half of all mobile calls will soon be fraudulent. One way that mobile scammers can fool you is by spoofing your area code, making you think a call is local. App scams. With millions of apps on the market, it’s hardly surprising that scammers would try to get in on the action. One type of app scam is when you download what you think is a free app but get billed. The billing information is hidden in very small print, making this a legal if unethical practice. Some of these apps have positive reviews and ratings (most likely generated by the company itself) so be careful before downloading apparently free apps. International calls. There are a few types of scams involving international calls. In the Wangiri scam (named after the Japanese term for “one ring and cut”), you get a call from a foreign country. The scammer will either only ring once or hang up if you answer. They hope you’ll call them back, of course. If you do, you’ll get billed for an expensive long-distance call. Mobile ad fraud. If you advertise online, you have to watch out for practices such as click flooding, which targets users of free apps (though it actually cheats the advertisers rather than the consumers). Fake clicks make it look like people are clicking on ads, causing businesses to overpay for advertising. The best way to avoid this is to closely track your ads and look for suspicious patterns (e.g. lots of clicks with no conversions). You should also research the advertising platforms you use and ask what they are doing to prevent fraud. Consumers are getting accustomed to submitting credit reports when applying for loans, apartment rentals, and even jobs. Scammers are taking advantage of this by posting fake ads in order to steal information. These ads could be posted on employment or rental sites as well as Craigslist or other online classifieds. When you respond, they ask for a credit report or send you a form that asks for sensitive information such as your social security number or a photo of your driver license or passport. It’s best to err on the side of caution and not provide such information unless you’ve verified that you’re dealing with a legitimate employer or rental agency. There are also credit report scams that fall under the phishing category. In this case, you may get an email warning you of a change in your credit score. These emails may look like they come from a real credit score companies such as Credit Karma. This is another case where you need to verify the information before clicking on any links. Online and mobile scams will evolve along with technological innovations. You need to be vigilant to avoid falling victim to such practices. Even as the specifics change, con artists tend to stick with familiar themes such as fake emails. In general, it’s a good idea to be suspicious of messages that either sound too good to be true or that contain a dire warning. If you have a business, make sure your employees are savvy enough to recognize online scams. BWS provides a variety of computer, network, and website solutions for individuals and businesses. To learn about our services, contact us.